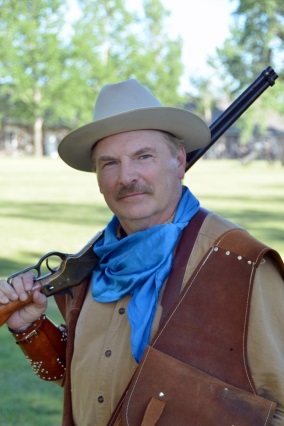 Arch Ellwein will portray famous buffalo hunter “Yellowstone” Vic Smith in a presentation that begins at 7 p.m. CST on Tuesday, Jan. 30, at the Cultural Heritage Center in Pierre. “Smith led the colorful life of a frontiersman and hunter during the West’s coming of age. As a hunter, scout and dispatch rider, Smith is associated with the outstanding events and men of his era,” said Catherine Forsch, president of the South Dakota Historical Society Foundation. The foundation is the nonprofit fundraising partner of the South Dakota State Historical Society and sponsors the program. Everyone is welcome to attend the free program, made possible by a grant from the South Dakota Humanities Council, an affiliate of the National Endowment for the Humanities. Ellwein will portray Smith as he was in 1900. His re-enactment is based on Smith’s autobiography, “The Champion Buffalo Hunter,” and uses Smith’s own words to tell his story. Smith used third-person when writing his memoirs. The manuscript was discovered by Prodgers in 1990 in the Houghton Library at Harvard University. She edited it, and “The Champion Buffalo Hunter” was first published in 1997. The book is available at the Heritage Stores at the Cultural Heritage Center and the Capitol. Ellwein is an advertising consultant and actor from Sidney, Mont. He previously portrayed Theodore Roosevelt, Lewis and Clark expedition member Sgt. John Ordway and steamboat captain Grant Marsh in programs sponsored by the South Dakota Historical Society Foundation. “Ellwein’s programs have always been crowd-pleasers. He brings the person to life and gives us a better understanding of history,” Forsch said.